True Detective's back, the great Sheridan Smith stars in a new drama called Cleaning Up, while Will & Grace returns – with a very special guest star . . . The award-winning HBO drama returns for a long-awaited third season – let's hope it's more like the excellent first run rather than the disastrous second. 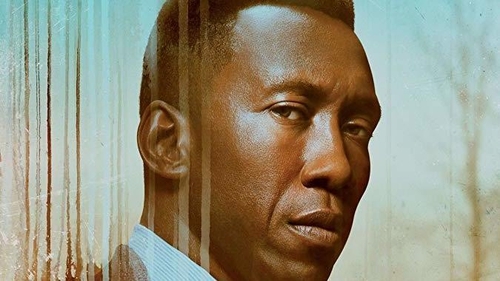 Focusing on a macabre child-murder case that plays out over the course of 35 years, this season, the series stars Academy Award winner Mahershala Ali (Moonlight), alongside Stephen Dorff and Carmen Ejogo. The disappearance of a young Arkansas boy and his sister in 1980 triggers vivid memories and enduring questions for retired detective Wayne Hays (Ali), who worked the case 35 years ago with his then-partner Roland West (Dorff). What started as a routine case becomes a long journey to dissect, and attempt to make some sense of, the life-changing event. Sheridan Smith stars in this new six-parter, and it's quite a change from her last TV appearance, when she was outstanding in Jimmy McGovern's co-written BBC drama, Care, where she played a single mother trying to look after her mother, who'd suffered a stroke. Created and written by screenwriting newcomer Mark Marlow, Cleaning Up centres around office cleaner Sam (Smith), a woman juggling life as a working-class mother with her unlikely involvement in insider trading. Sam is strapped for cash and has an online gambling addiction, but when she discovers she has access to valuable stock market information, she sees a way out of her money troubles. Grace’s (Debra Messing) accidental run-in with Noah (guest star David Schwimmer), a curmudgeonly man she follows on Twitter, hints at a possible new love interest. Jack (Sean Hayes) wants to look younger before meeting Estefan’s (guest star Brian Jordan Alvarez) family on Skype. However, Jack makes a terrible first impression after overdoing the numbing cream before his facial procedure. Meanwhile, Will (Eric McCormack) helps Karen (Megan Mullally) protect the intellectual property rights of her most prized possession. This started last Tuesday on RTÉ One, but if you missed out you can catch up as Vogue Williams and Tommy Bowe kick off a new season in the USA, visting the city of Seattle, while Joe Lindsay keeps it local by heading to Dungarvan in Waterford. Filmed over seven months inside HMP Durham, Channel 4's documentary series returns with more unprecedented access to life behind bars. This opening episode focuses on what it takes to break the vicious cycle of violence between prisoners and against the staff. International tour guide Brendan welcomes five VIP couples for a sun-soaked adventure across Spain - all of them hoping to make it from Barcelona to the final destination of Benidorm. The celebs this series include Strictly's James and Ola Jordan; Geordie Shore's Charlotte Crosby and boyfriend Josh Ritchie; Made in Chelsea lads Sam Thompson and James Dunmore; Towie's Bobby Norris and friend Nadia Essex; and pop royalty Lisa Maffia and Mutya Buena. On day one, an experimental art class ends in chaos as Sam Thompson sabotages his opponent's work, before Charlotte Crosby goes in hard in a BMX race. In the picturesque market town of Thirsk, nestled in the rolling North Yorkshire countryside, ten citizens embark on a journey into an extraordinary life of crime. They’ve been tipped off that a cash-in-transit van containing £250,000 will be left unattended for a short amount of time. If they can successfully plan and execute a heist, and hide the quarter of a million pounds from a crack team of detectives for two weeks, it’s theirs. The second One Day documentary goes behind the scenes with people whose job is to clean up after the rest of us. On just one day, households generate a staggering 7,500 tons of rubbish. We throw away food to the value of €3 million, flush away 400 million litres of water, and dispose of 500,000 coffee cups, every day. Coping with that mountain of waste can also be a dirty business for those involved, and this documentary follows a typical day for the people who lift, sort, wash and clean-up, on our behalf.